Silvermerc Designs is a luxury fine jewellery brand.Its designs are admired by the celebrities and art lovers both.Silvermerc Designs having a vast experience in export of fine silver jewellery launched its own label" Silvermerc Designs" in 2012. Silvermerc Designs came into existence when its founder Deepika Agrawal realized her passion for history and art.And here emerged the brand reviving the age old traditional jewelry adorned by the Raani's of Rajwaada to tribes of India. 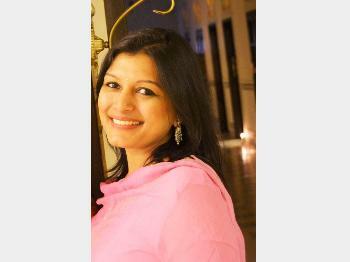 Deepika Agrawal is an inspiring designer with a penchant for all things simple and beautiful. Inspired by beauty in the world around, she believes that sometimes it’s the purity and simplicity and other times, it is the intricate complexity of structures and lines which works to create remarkable jewellery that delivers elegance and personal style to the wearer. Deepika strives to make sure that every piece has elaborate detail that creates a sense of wonder and enchantment. She set up her own boutique shop with a great love for making special pieces for people that will be treasured forever as heirlooms of the future. We aim to dispatch all orders within 72 hours with the exception of Indian public holidays where it may take up to 96 hours. Estimated delivery times are to be used as a guide only and commence from the date of dispatch. Before you return a Silvermerc Designs product, please take a moment to understand how our products are made. All our products are handcrafted by traditional craftsmen in Jaipur, resulting in each product being unique and slightly different from each other. The stones therefore may vary slightly. All our products go through quality control before shipping. Returns & Exchanges will be accepted when your order is completed and the item got damaged in transit or you have received the incorrect product. In that case please notify us within 3 days and return the item to us exactly the way in which it was received (unworn, with original) packaging). The designs are contemplated with the effect of modernity.Each and every design depicts a story of its origin and culture.Every design when worn gives a sense of attachment to our grand traditions of the world.The beauty around us enveloped in a wearable mode.